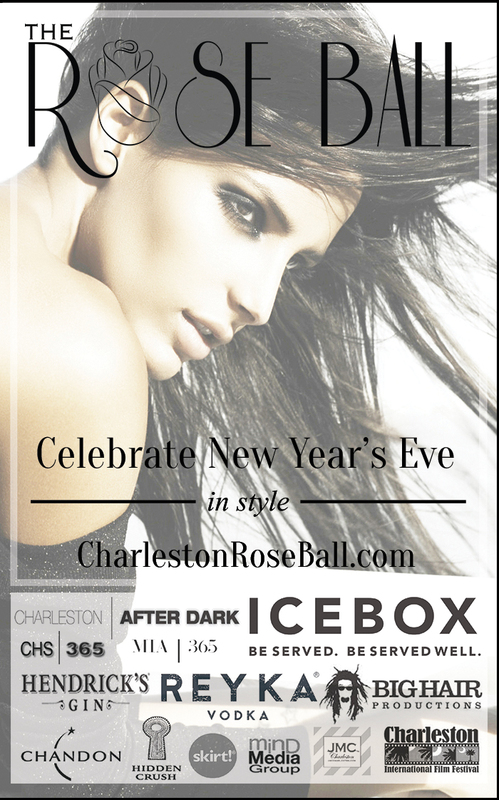 Now that the countdown is on to New Years Eve 2016 and you’re making plans to celebrate this joyous occasion, The Charleston Rose Ball Crew is gearing up for their action-packed 4th annual event. The Rose Ball is the place to be for a night full of elegance, entertainment, exceptional food and cocktails, and will be packed with Charleston’s elite! Ticket prices increase on November 30th and space is limited! So grab all of your friends and loved ones and get your Rose Ball tickets today so you can use that extra pocket change towards your fabulous ensemble you are sure to be wearing! Once again this year, The Charleston Rose Ball has some remarkable sponsors and wanted to give high praise and a sincere thank you to those that are helping to make New Year’s Eve 2016 a night to remember! A very heartfelt THANK YOU to Reyka Vodka, Big Hair Productions, Hendrick’s Gin, Chandon, Hidden Crush, The Charleston International Film Festival, Skirt!, Mind Media Group, and JMC Charleston!